Copyright © 2010 Benefit Plan Systems Corporation. All Rights Reserved. ODBC Drivers gives you direct access to EAS Suite application data files. You can easily import or export data to or from any other ODBC compliant application such as Microsoft Access or Excel. The ODBC/SQL version supports Extended SQL Grammer, the broadest level of the ODBC standard and network and server -side scripting. The SQL driver brings ODBC-compliant access to the application. It provides wide compatibility with hundreds of Windows query, reporting, Web and development tools across a variety of platforms. 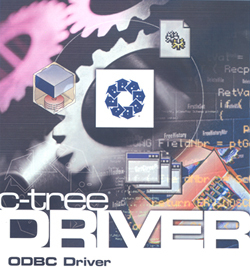 This driver supports Windows clients and provides networking and server-side software that manages interaction with c-treeSQL. This driver is for use with standalone operational models and standard (non SQL) Servers. This single tier driver interfaces directly to the API. All of the program logic necessary to handle requests from our applications is contained within the driver itself. Two of the many ways to use this driver would be to produce custom reports and export data files. Just select report file output. 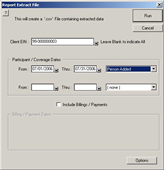 Output the report to MS Access , MS Excel or other ODBC compliant application. Select the desired extract criteria. The SQL Driver supports Extended SQL Grammar, broadest level of the ODBC standard. This includes nested queries, recursive views, case expressions, ODBC-compatible scalar functions, extended data types and procedure calls. Extended SQL provides high-end decision-support functionality with the power to answer complex business questions. This driver is tailored for high performance production, including on-line transaction processing and decision support applications.